Living in Paris is such a thrilling experience. 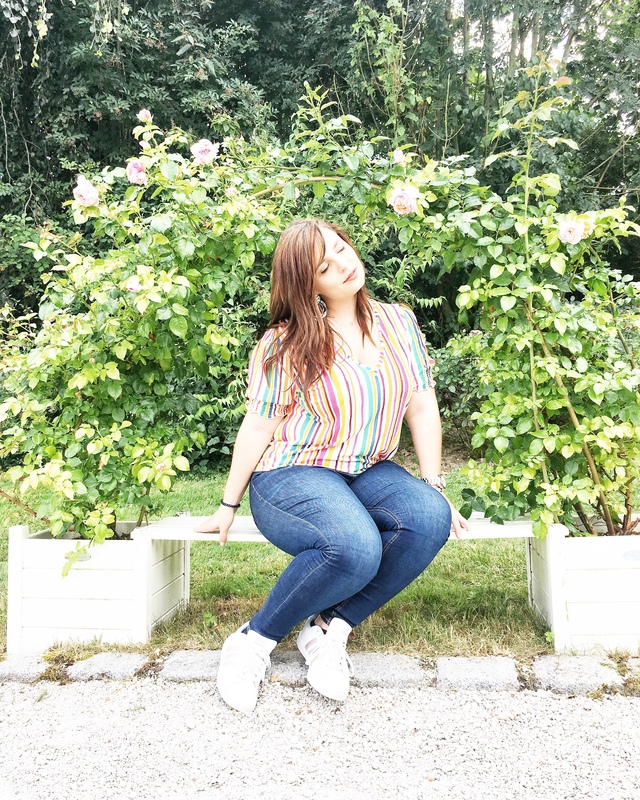 There is the bustle of the city, the people out on the streets, cafés on every corner… but sometimes it can get quite exhausting and we “Parisians” need a break (am I even considered to be a Parisienne yet?). A few weeks ago I started looking for day trips to do that wouldn’t cost too much money. I can’t go too far from Paris at the moment because I still have to work until August. 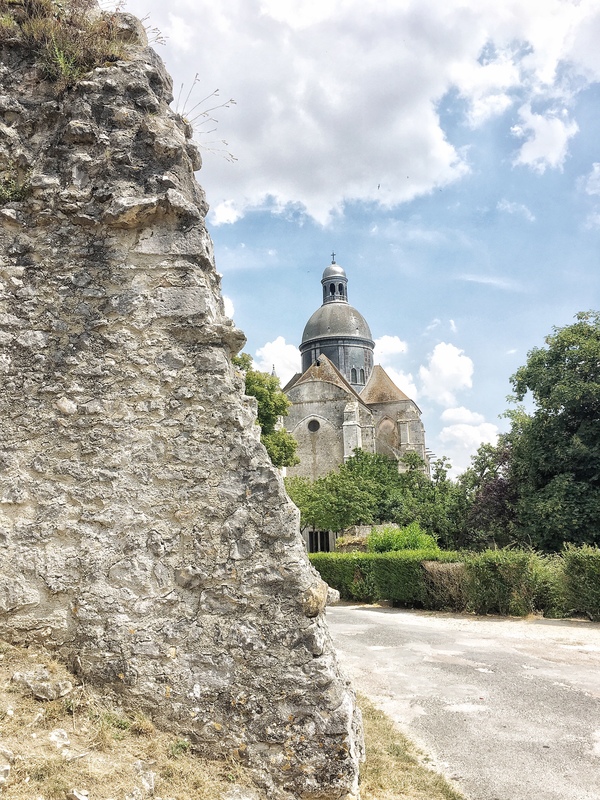 I stumbled upon Provins, a medieval village that became a UNESCO world heritage site in 2001. This fact intrigued me, and as a history major, I just had to go. 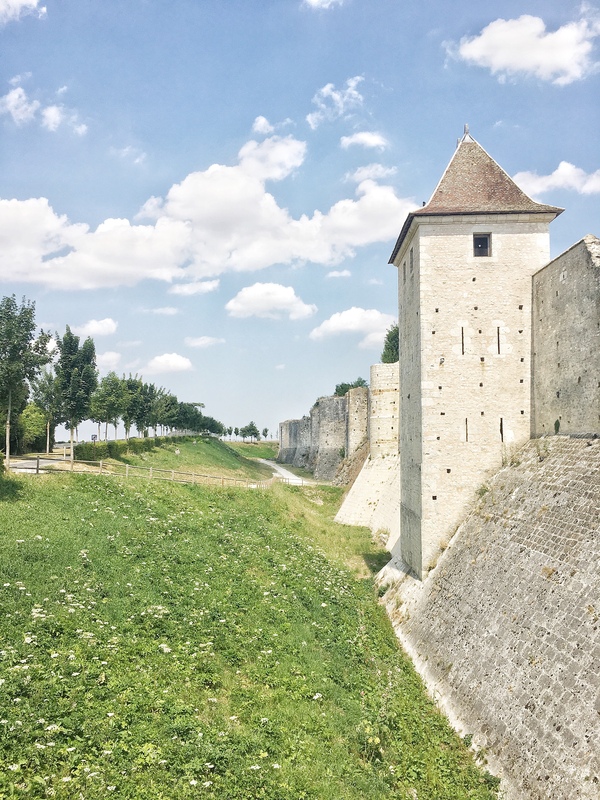 Provins is a village in which the medieval fortifications are still intact. For example, the village is surrounded by walls and has a watchtower known as the César Tower. 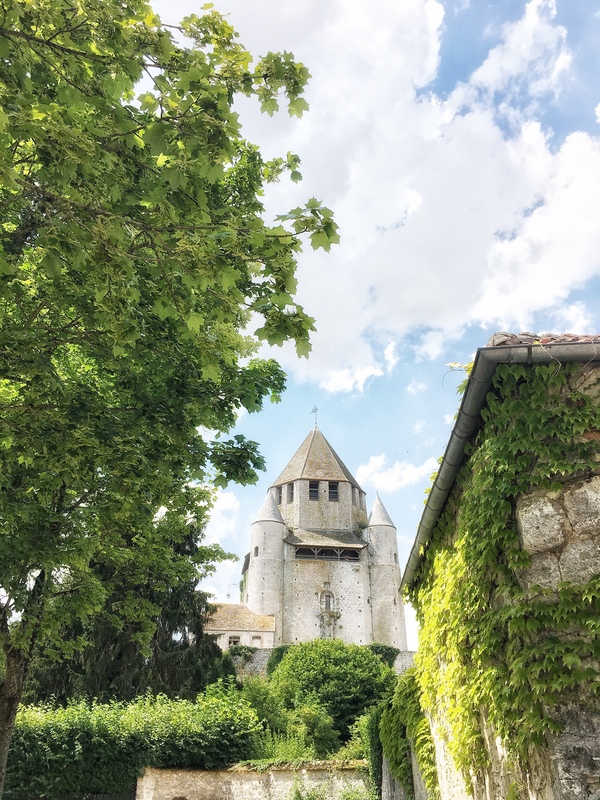 Upon entering the village from the parking area (we came by car, but you can get to Provins by train leaving from Gare de l’Est) we got to walk a few quiet streets before entering the center, which honestly was breathtaking and made me feel like I was on a movie set. 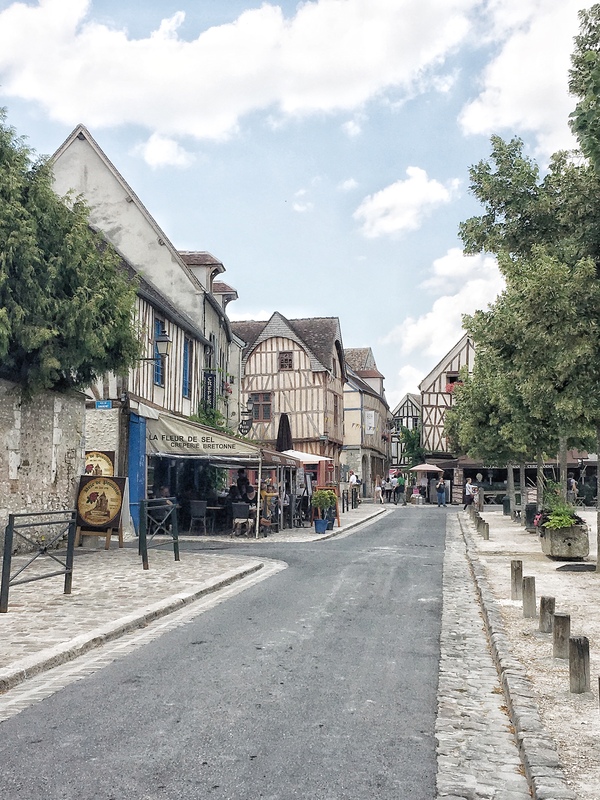 Provins was very important in the medieval economy with trade and was part of the Champagne fairs. 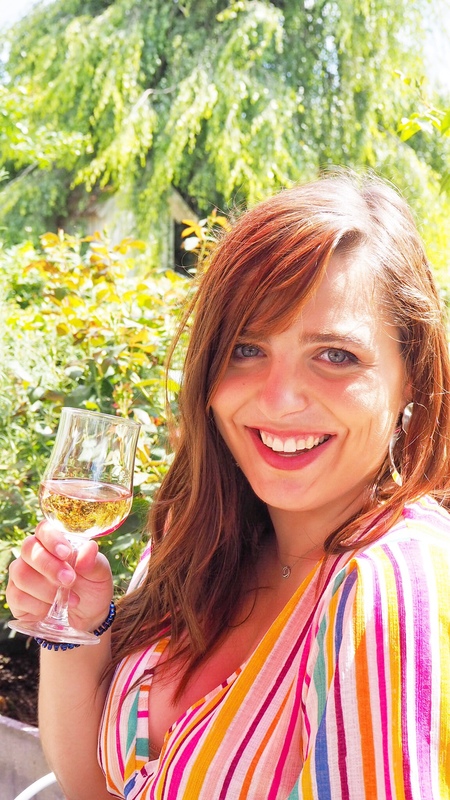 Provins was under the protection of the Count of Champagne. 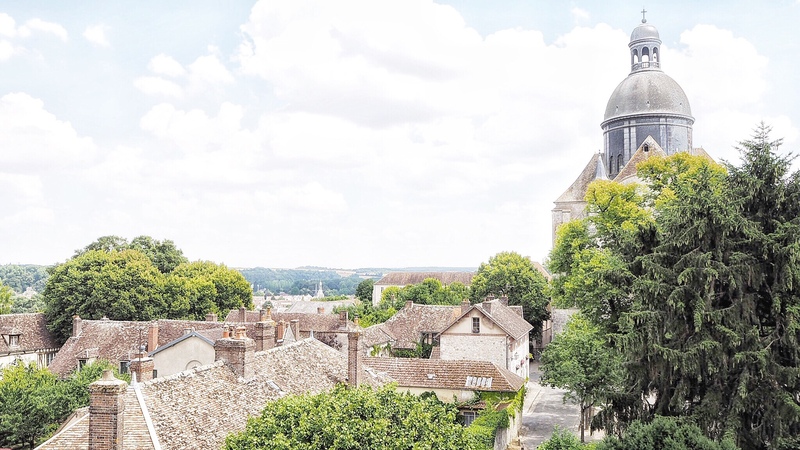 Today, Provins is part of the region of Ile-de-France and the department of Seine-et-Marne. There are PLENTY of museums to explore. 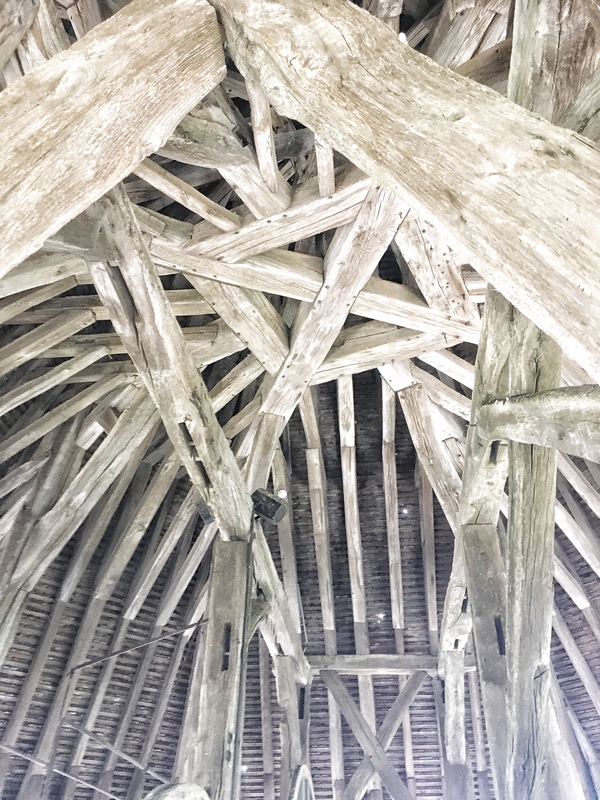 There is the Tithe barn, which is a barn that was used in the 13th century. The Museum of Provins shows medieval objects that were used in Provins and in the surrounding areas. The museum also happens to be in one of the oldest buildings of the town. 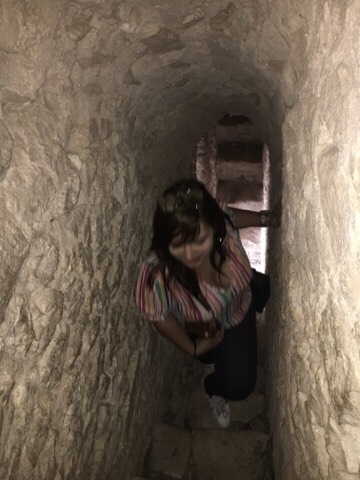 After having visited, I also found out that there are underground passages with guided tours! I would have loved to do these three things but I had already planned on seeing the tower, the church, and the rose garden. 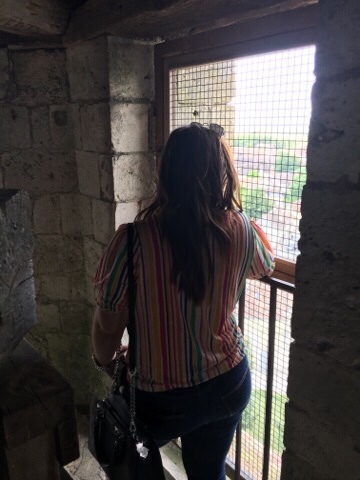 The tower was built in the 12th century, and we were able to explore freely inside. We were able to see the rooms were people slept, areas where people kept guard and watched for danger and all the while we got to enjoy the view. What I absolutely loved was that it was a hot day when we visited and inside the tower the temperature was so much cooler. Warning for the claustrophobic: there are staircases that are very small and difficult to climb. But honestly, the panoramic view from the top was just breathtaking and I was happy I forced my way through. Breathtaking: from the top there is a panoramic view of the town, its surrounding fields and the church. 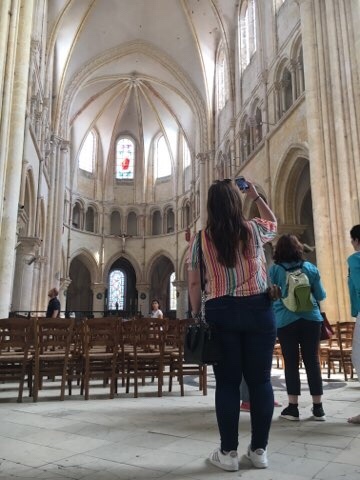 Another thing that was very interesting was studying the architecture. I always get blown away by seeing places that were built so long ago without the same mechanics and how the building has survived so much. The top of the tower. So intriguing to see how it was built. After walking out of the tower and down the hill, there is a public plaza where the Church is located. The walk from the tower to the Church. The church is quite simple compared to other churches in France. In fact, what shocked me was that it seemed to be unfinished. After reading about it online, I found out that this was actually true. The only big alteration that the church has seen since the Medieval times has been the dome, which was constructed in the 17th century. 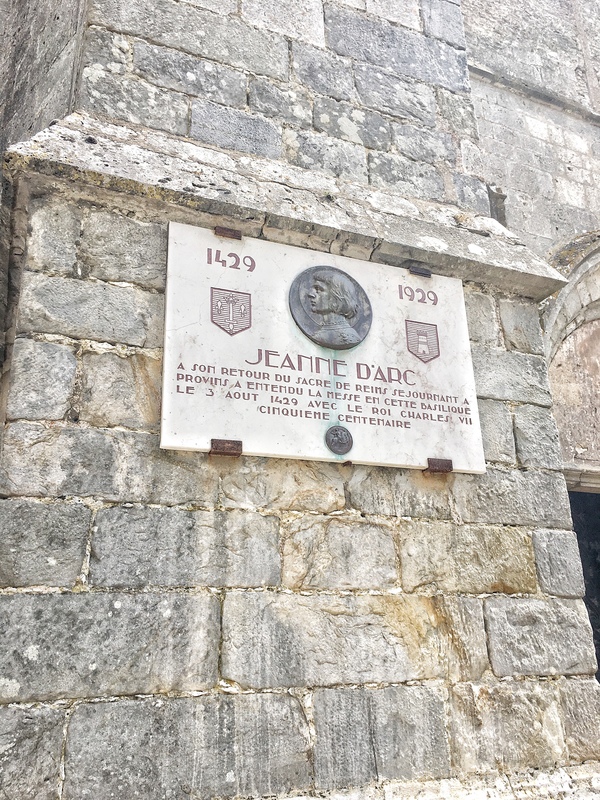 Another interesting fact is that Joan d’Arc had been to this church. There is a sign to commemorate the event. 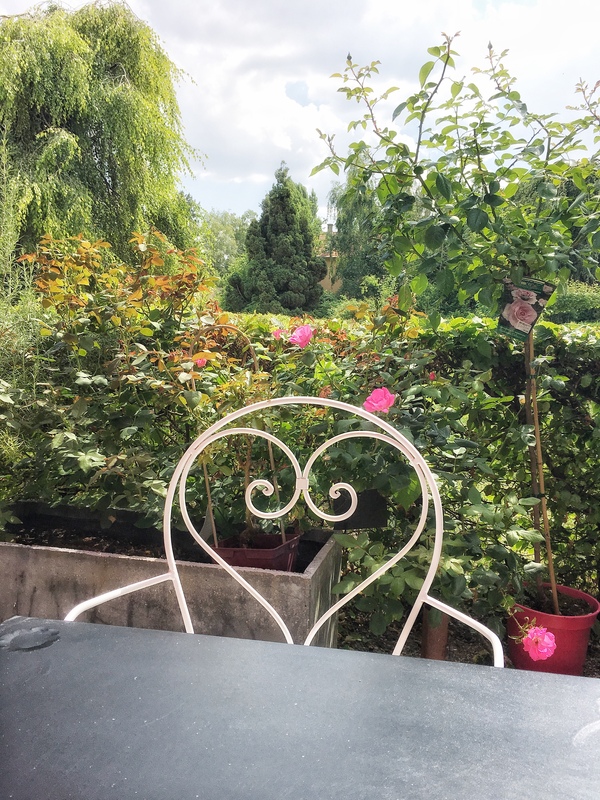 Provins has looooots of things made of roses, like rose jam, rose honey, rose candy, rose water… The rose garden is a private area where one can sit and have a drink overlooking the garden and seeing the top of the tower and the dome of the church. The view is very beautiful. Seeing that roses are an important part of the town’s culture, I thought it was a good idea to visit la roseraie. We were parched when we arrived and all we wanted was straight up water. What they brought instead was rose flavored. I had to ask them to bring me a glass of normal water. The rose-flavored one was good but too sweet and just making me more thirsty. We also couldn’t resist having a glass of rosé. 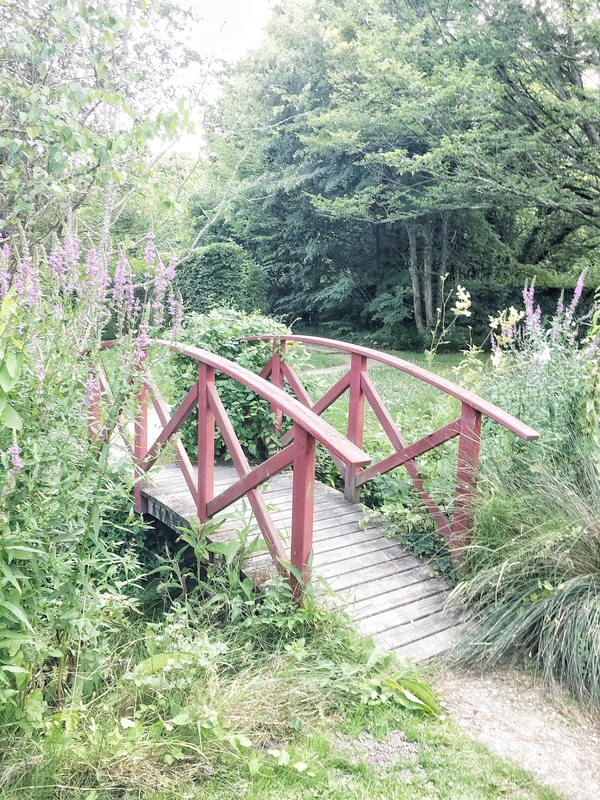 Taking a stroll through the garden, on the contrary, was a bit pricey for what it was, with a cost of 7€. That doesn’t mean that it wasn’t nice, it was just more than what I had expected. 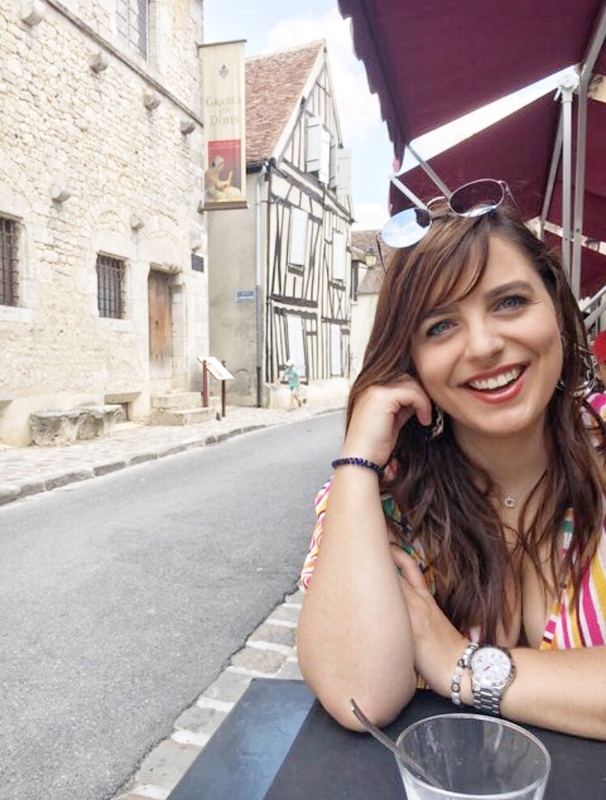 Something I think people should be aware of when visiting Provins is that the restaurants do tend to be targeted toward tourists. It is pricey for the quality of the food. 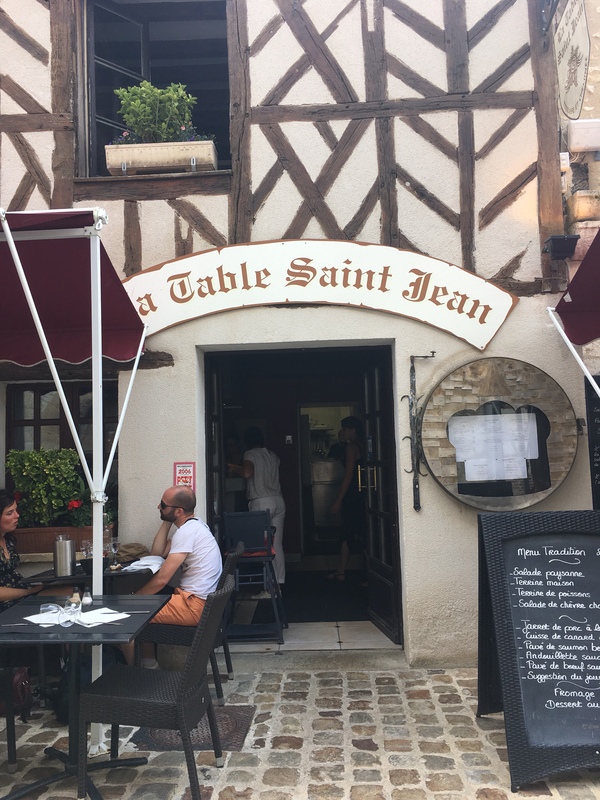 The restaurant that we went to was called “La Table Saint Jean”. For an entrée, I had a salad with warm goat cheese. When I moved to France, I wasn’t that much of a fan of goat cheese. I thought it was too strong. I didn’t start eating it much until a friend of mine told me to try it warm with a warm baguette and some honey drizzled on top. Ever since then, I am hooked and can now enjoy it. For my main course, I had salmon covered in butter sauce with mashed potatoes. 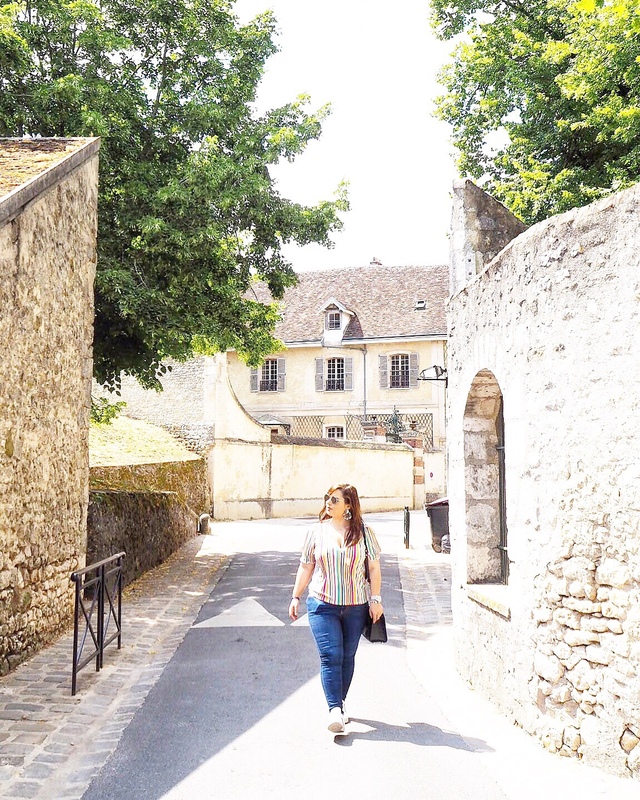 Provins likes to maintain the medieval feeling not only by the architecture and museums but also in how they dress, what they sell and their shows. Sometimes it can be a bit cheesy, but it’s also a bit of the magic. Throughout the day, the city puts on shows. One is called “La Légende des Chevaliers” (the legend of knights), the other “Les Aigles des Remparts” (the eagles of rampart). There is a restaurant “Le Banquet des Troubadours”, where guests dress up in medieval clothing and eat a “medieval” meal. There is also entertainement and music. Paris City Vision also does guided tours, if this is something that you feel more comfortable in doing, especially if nervous about transportation and such. 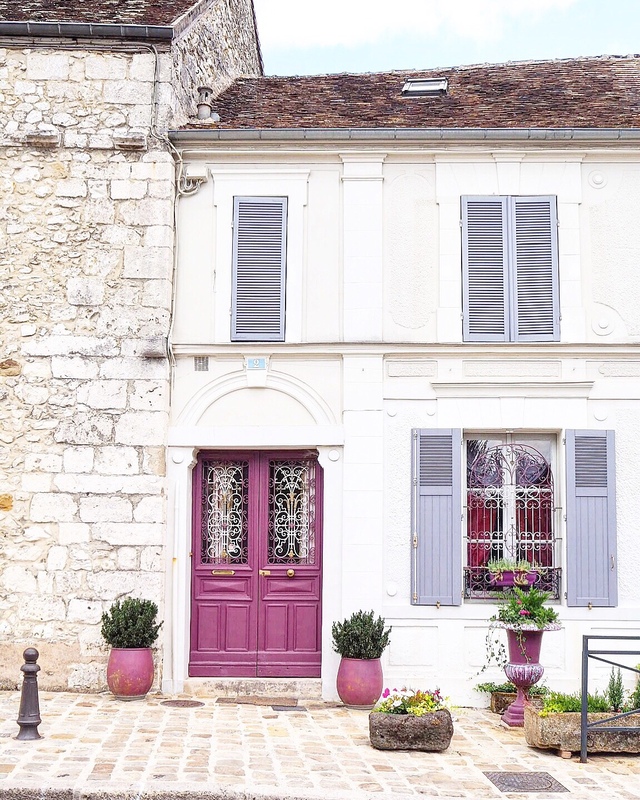 All in all, Provins was such a lovely little getaway and a nice way to get away from the bustle of the big city. So serene and beautiful! Love these photos. Beautiful, you feed my mind.